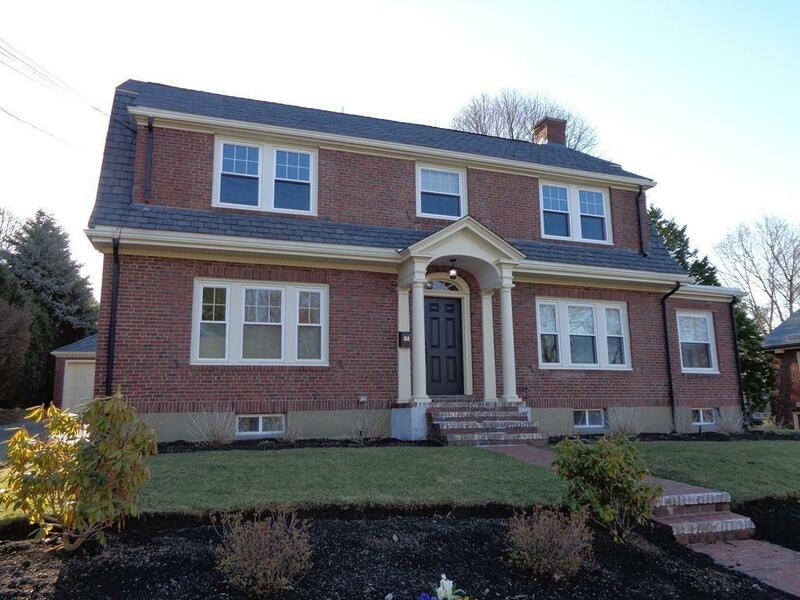 Completely Renovated Brick Colonial Situated on the Top of the Hill on one of Watertown's finest neighborhoods near the Oakley country Club!. This home sits on a 12, 766 square foot professionally landscaped lot. Nice entry foyer leading to a front to back spacious and sunny living room with fireplace. Nice sunroom with loads of light. Custom Chef's kitchen with commercial range & over sized center island. Open to a dining area completes this perfect floor plan. Second floor master suite with master bath which includes a whirlpool tub, separate large shower & double vanity sinks & walk-in closet. Two additional second floor bedrooms. Beautiful stained hardwood flooring. Finished lower level with family room, bedroom, office & full bath & additional laundry room. Three zones of Central Air & Forced Hot Air. New water service, sewer lines, & French drain. Two car garage. Perfect opportunity to be own a gem of a property. Welcome home to Watertown!